Himmeriget ("Heaven") - well, it goes without saying that the name is inspired by the special taste this exquisite meat quality from Himmerlandskød ensures. Himmeriget is something very special. It is Himmerlandskød’s refrigerating room containing selected sirloin for long ageing. 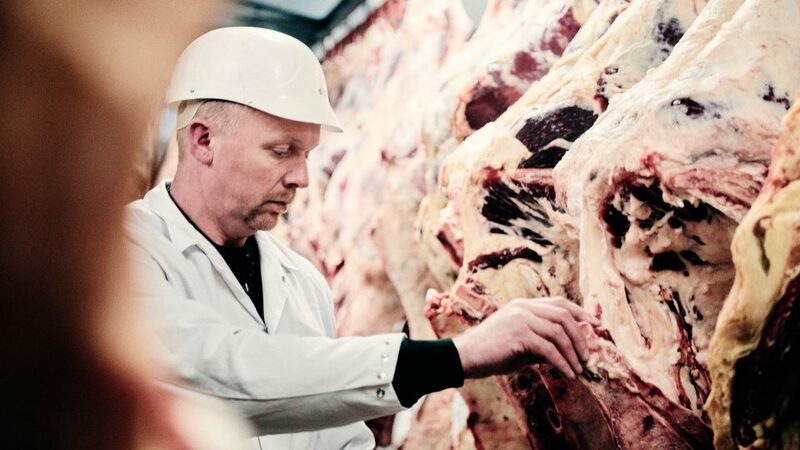 The director of the slaughterhouse, Klaus Vestergaard, personally picks the best sirloin according to specific quality criteria concerning marbling, shape and age. Inside Himmeriget, there is the right temperature and air humidity, thus guaranteeing an outstanding sirloin.